Finding himself stuck in the violent ghettos of Kingston, Jamaica, a self-absorbed street hustler devises a daring but not-so-clever plan to steal a fancy sports car from right under the owner’s nose. Then things rapidly go downhill When he hits rock bottom, he realizes he has to change in order to fulfill his dreams. 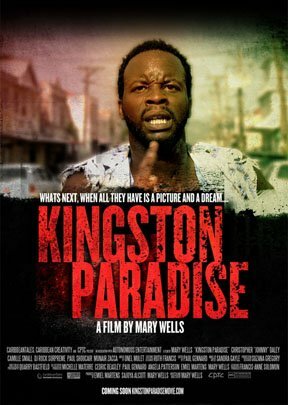 Kingston Paradise is not your typical dance hall and shoot ’em up Jamaican fare especially because Camille Small is an unbelievable gem in her film debut. Little wonder that the film won the Best Diaspora Film at the 2014 Africa Movie Academy Awards as well as the Pan African Film Festival Programmer’s Award for Narrative Feature. And in 2013, it won the Audience Award for Best Feature at the CaribbeanTales Festival. Get it. Strip it. Sell it?